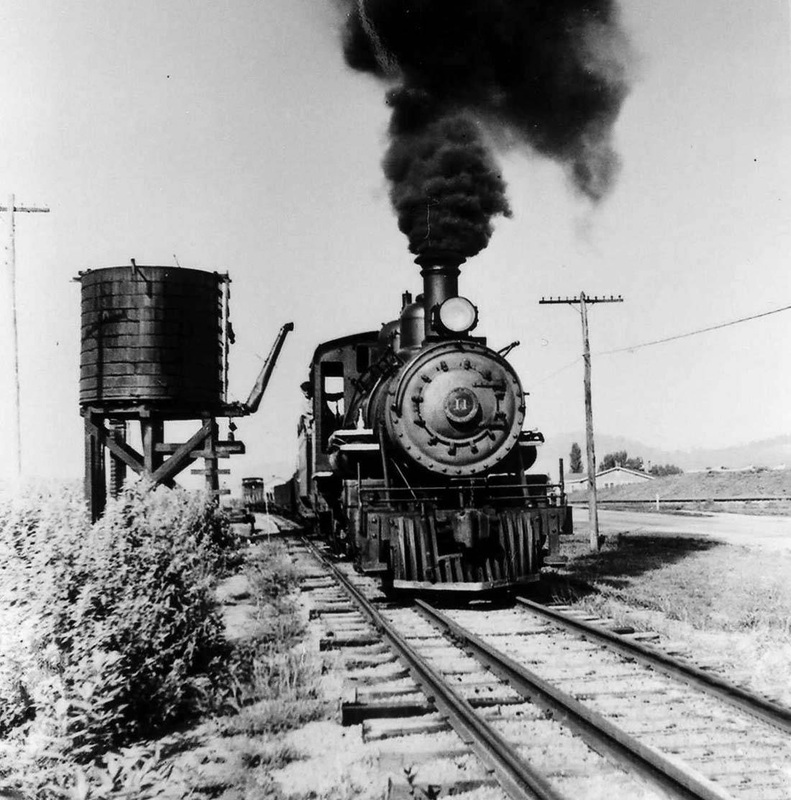 This page is dedicated to the history of Railroads that have been part of the county. This includes the ET&WNC "Tweetsie", Southern Railroad, and NARC Steamengine (The Pot). There were also many "feeder" lines that have operated in Carter County over the years. 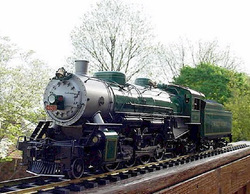 "During the early 20th century, Elizabethton became a rail hub, served by three different railroad companies. 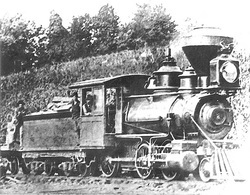 Beginning in the 1880s, the narrow gauge engine known as the "Tweetsie" ran on East Tennessee and Western North Carolina Railroad (a.k.a. the 'ET&WNC ) between Johnson City and passing through Elizabethton before climbing into the Blue Ridge Mountains, eventually connecting to Boone, North Carolina in 1916. In 1927, the 9-mile (14 km) portion of the ET&WNC railroad from Johnson City to Elizabethton was converted to standard gauge in order to more efficiently serve the NARC and Bemberg Rayon Plants. The narrow gauge portion of the ET&WNC ceased operations in 1950 and was subsequently abandoned, however the standard gauge portion of the line from Johnson City to Elizabethton continued to operate until 2003 as the East Tennessee Railway. Today the railroad's dormant track remains in place, though its future is uncertain. 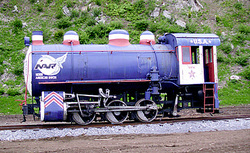 One of the ET&WNC's narrow gauge steam locomotives (Engine #12) is still in existence, operating at the "Tweetsie Railroad theme park at nearby Boone, North Carolina. The Southern Railway operated a branch line into Elizabethton until the flood of 1940. 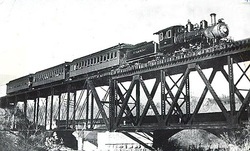 It connected with the ET&WNC at a small railroad yard near the confluence of the Watauga River and the Doe River. In the 1910s and 1920s, another small railroad, The Laurel Fork Railway, operated out of Elizabethton paralleling the ET&WNC and Doe River to Hampton, Tennessee. At Hampton the line split off and ran to a sawmill near present-day Watauga Lake." I am very excited to announce that the staff is working on information for this page. A large group of wonderful vintage photos have been made available. They are a part of the Cy Crumley library. Mr. Crumley was a long time engineer with the ET&WNC Riailroad and some of his photos have been made available for public use. This photo was taken in the 1940's in the location that is now part of the Elizabethton High School. If you look today when you drive by, you can still see the foundation of the water tower between Elk Avenue and the EHS parking lot. Follow the links below to see more photos as well as some rare vintage video footage of the railroads of Carter County. Information is currently being collected on this legendary train service.. The photo to the left is of old Engine #9 as it crossed the Valley Forge Trestle in Elizabethton. Click on the photo to the left to be taken to the ET&WNC Page. N. A. R. C. Steam Engine "The Pot"
One of the most unique Steam Engines to operate in this area was the old N.A.R.C. Steam Engine, affectionately known as "The Pot". Click on the photo to the left to go to the N.A.R.C. Steam Engine page.